Priyanka Chopra and Nick Jonas are all set to tie the knot on December 2 at the Umaid Bhavan Palace in Jodhpur. The wedding prep is on with full force and the to-be bride and groom have already reached the venue. 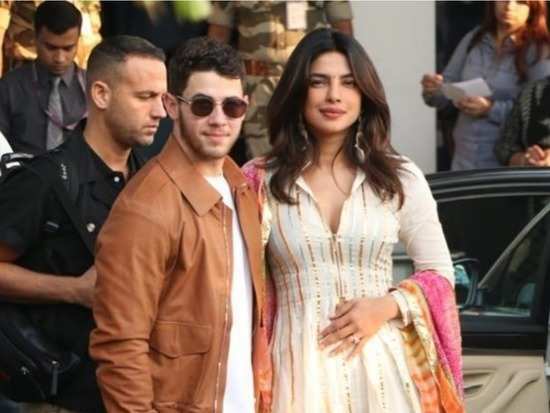 A lit-up palace welcomed all the guests including Priyanka Chopra's mum Madhu Chopra and her cousin Parineeti Chopra as well as Nick Jonas' family. We had already heard that Nickyanka's guest list included several Hollywood celebs and now we're getting to know that some of these celebs will include Lilly Singh aka Superwoman, Priyanka’s Quantico co-star Yasmine al Masri and Nick’s friend Jonathan Tucker. It is also being said that celebs like Dwayne Johnson, Jack McBrayer, Kelly Ripa and Lupita Nyong’o are also part of the guest list. Priyanka even went ahead and told a leading magazine, “People will need vacations after this wedding.” Well, now that alone proves that this is going to be one amazing big fat Indian wedding. The couple is all set to have two separate weddings in two different locations within the palace. The Christian service will be officiated by Nick's father. As per reports, Priyanka is all set to don a custom-made Ralph Lauren gown for her wedding ceremony. Well, we for one can't wait to see how gorgeous Priyanka will look in her wedding attires. Stay tuned for more updates. Ranveer Singh and Deepika Padukone’s first pictures from their Mumbai reception will leave you mesmerised! 5Ranveer Singh and Deepika Padukone’s first pictures from their Mumbai reception will leave you mesmerised!